GOOSE VPN offers great speeds, specialized servers for torrenting and streaming, and absolutely no activity logs. These are all good reasons to give it a shot, but the problem may be that its subscriptions are a bit expensive. Well, now this issue has been solved with GOOSE VPN’s exclusive Black Friday deal that lets you enjoy all these benefits without breaking the bank. 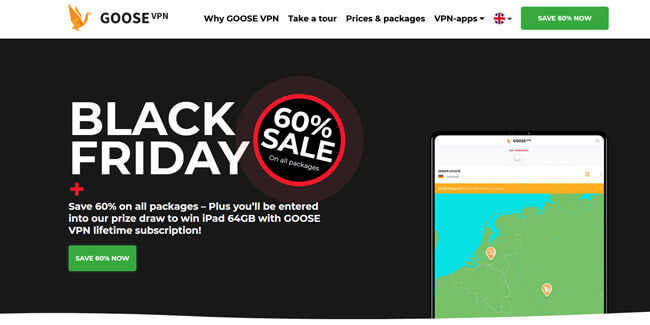 Offer: Save 62% on all annual plans with GOOSE VPN! If you get an annual subscription for GOOSE VPN now, you can take advantage of its special 62% discount and pay just $2 per month! 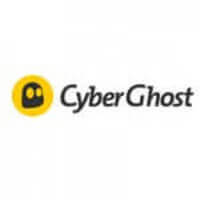 Having in mind that GOOSE VPN’s standard monthly subscription costs $12.99 per month, this is a truly unbelievable deal that should not be missed. Plus, you are covered by the 30-day money-back guarantee, so you never have to lose any money in case you are not fully satisfied with this VPN.